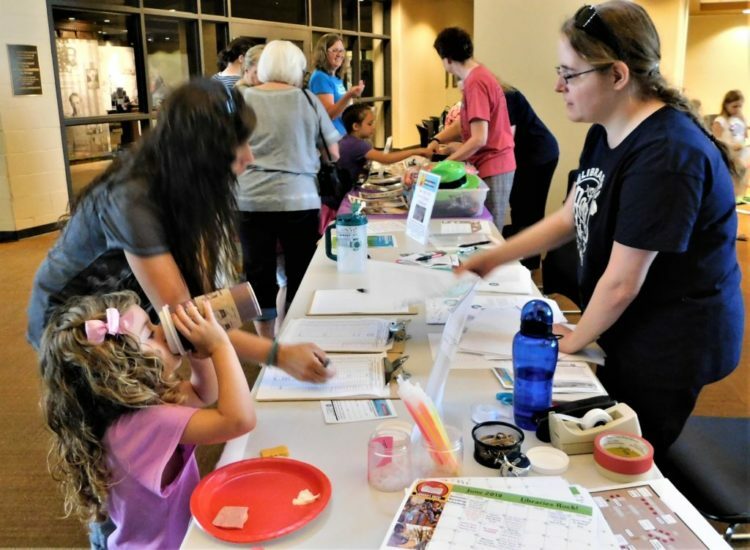 The Fort Scott Public Library Reading Program filled the lobby of the Ellis Fine Arts Center on the campus of Fort Scott Community College Wednesday morning. 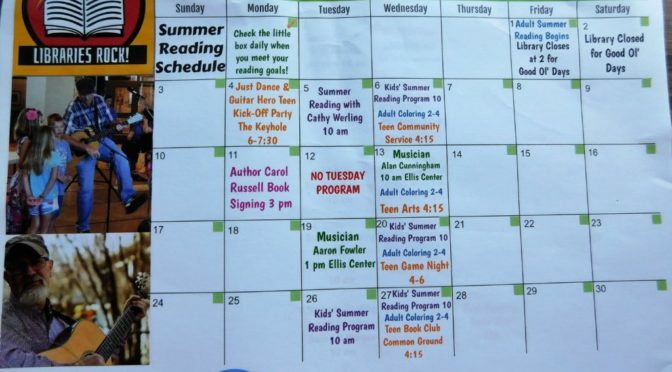 Music, dance, reading challenges, crafts, snacks and other fun activities helped the children get ready to set reading goals for themselves for the summer. Following are snapshots of the morning. 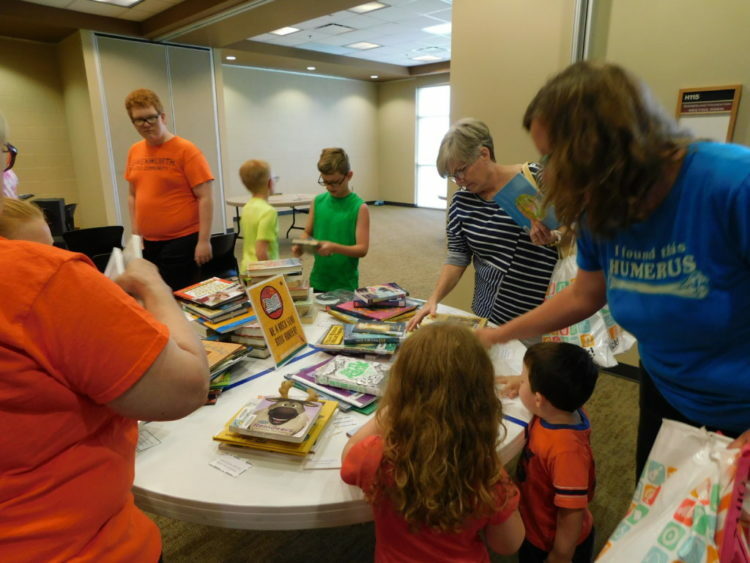 Registering for the morning’s events at the Fort Scott Public Library’s Summer Reading Program kick-off. 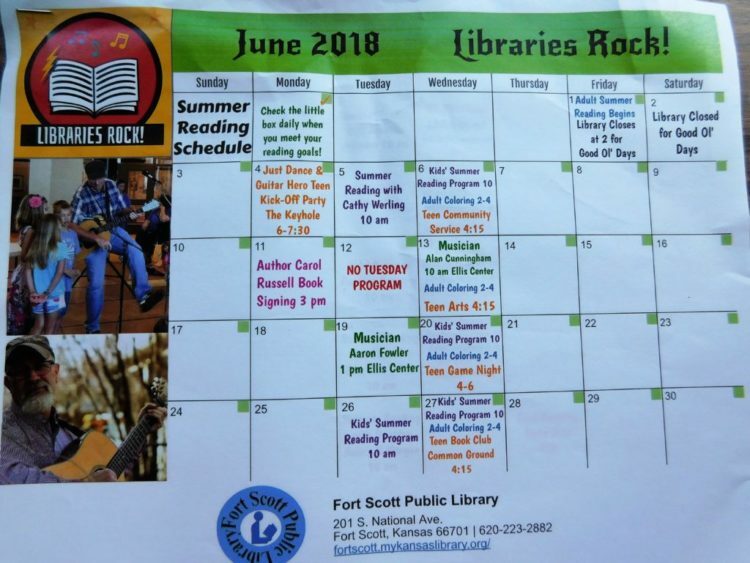 Upcoming activities for June at the Fort Scott Public Libary were handed out. 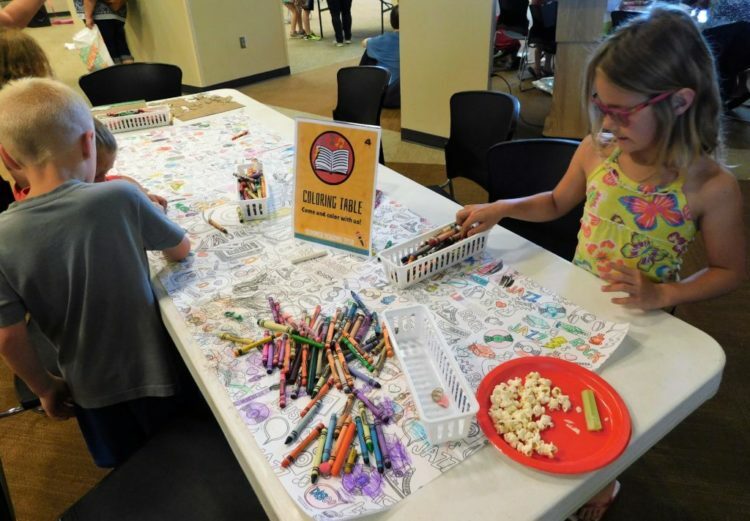 A coloring table and snacks were enjoyed by these children. 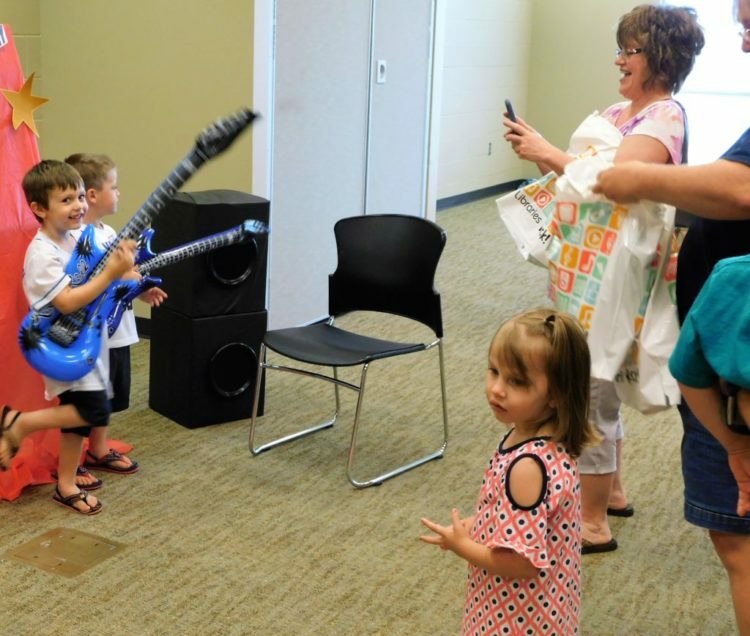 Air guitar props for photographing children. 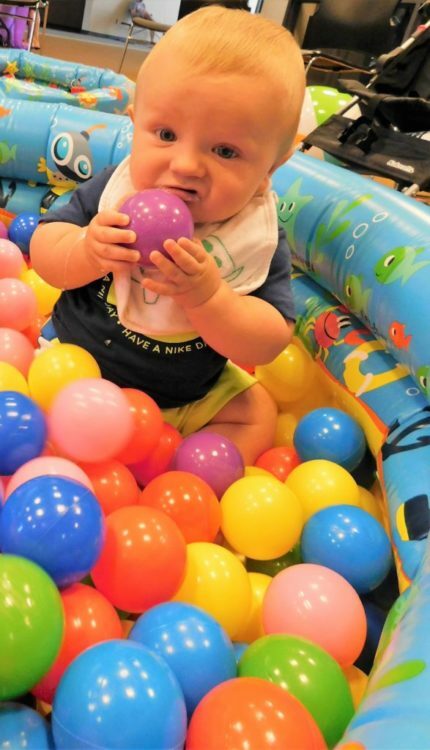 Oliver Shelton plays in the pool filled with balls Wednesday morning at the library reading program kick-off. 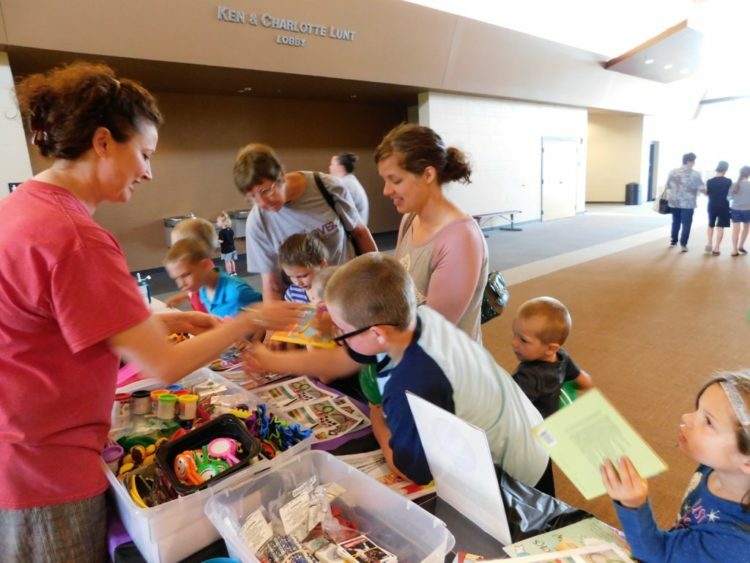 Children pick out prizes given following the activities at the Fort Scott Public Library Reading Program kick-off Wednesday morning at the Ellis Fine Arts Center at Fort Scott Community College.